This year has been difficult for people all over the country and the world. If you’re young, you may have struggled to find any work. You might still be living with your parents, even in your late twenties. It’s entirely possible and likely that after you had completed an expensive degree, your first step was to move back home. We wouldn’t blame you because the job market is tough. To get anywhere, you’ll need to persevere and be resilient. But that’s not the only problem with surviving in the new modern world. It’s becoming harder than ever for young people to step out on their own. It’s difficult to buy a house or pay the bills. You might struggle with costs of medical insurance and getting help when you need it. The fact is that surviving the modern world on limited finances can be a nightmare. That’s where this guide is going to help you. On this post, you’ll find some tips and tricks you can use to get your finances in order and pay for all the costs of living that you need. Hopefully, then you will be looking at a brighter financial future in the new year. You might think that it’s embarrassing to still be living with your parents. It can be difficult to admit that is your situation when you attend job interviews. That can stop you attending any interviews at all. However, as we already mentioned this is just the state of the world that we are living in. Most people are not able to afford to move out on their own This is particularly true for those who are single. They can’t rely on a second paycheck to help them along the way. But despite this, it’s important that you keep applying for jobs that you want and never give up. You have to keep putting your name out there and drawing attention to yourself. This is the only way you are going to get the prospects that you want and need. If you do find a job, you should take it on even if it isn’t your dream career path. For now, you can use it as a source of income, and you might find that it holds great promise for the future. Or, you can see it as a temporary position and move on when you find another opportunity. As long as you don’t get too comfortable, you can still look for more exciting challenges on the horizon. Eventually, you will make enough money to be able to afford to move away from home. That time might seem far off at the moment, but it will happen. When it does, you must be smart about this decision. Most young people make the mistake of jumping straight into buying property. In fact, experts agree that right now it makes more sense financially to rent. Especially if your income is limited. You may have enough money to put down a deposit on a home. But that doesn’t mean you can afford to own property. A home comes with many expensive bills attached. If something in your house needs fixing, you’ll need to pay for it. If you’re renting your landlord will sort it out for you. As well as this, you need to consider the cost of mortgage repayments and taxation. Suddenly, owning a house isn’t quite as affordable as you thought or hoped. Renting provides you with the independence that you want at the cost that you can afford. There are certain things in life that you have to pay for. In fact, a whole lot of services and products fall into this category. You will need to pay your home bills, medical bills, and shopping bills. You’ll also have to make sure you can pay tax while still providing everything that you need. 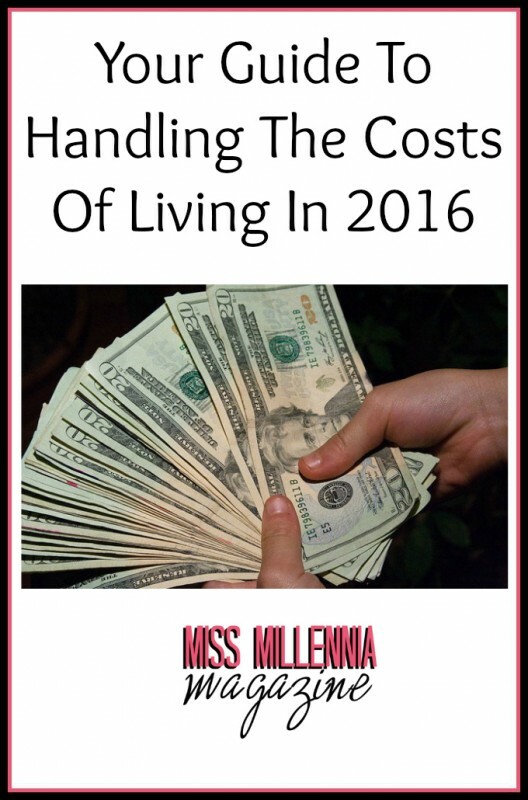 There are easy ways to get around these costs of living and make them more manageable. We can start by thinking about medical bills such as a dental procedure. A dental procedure isn’t something that you can avoid for too long if you need it. Eventually, the pain will be too unbearable to live with. To handle the costs of these types of procedures you need to price check. As crazy as it sounds price checking this kind of cost will save you a fortune. A root canal procedure can be incredibly expensive. But it you look at the root canal cost at Carefree Dental, you’ll find the process is a lot cheaper than most other places. The same could be true for a whole host of other costs. You should be checking everything from your weekly shop to your electric rates. Speaking of electric rates, checking your provider pricing is one way to lower your costs of living. But you also need to think about how much energy you are using and whether you can cut back. Doing something as simple as switching lights off as you leave a room could end up saving you a lot of money in no time at all. The same goes for shutting doors in your apartment to keep the heat in. These simple changes to the way you live will save you a fortune at the end of the year. You’ll be amazed at how much your bills have been slashed. Lastly, you need to think about things you want. Christmas is fast approaching, and we’re sure, there are people out there who have struggled to buy all the gifts. Either for the children or their other loved ones. We understand the strain that Christmas can put on income and worse still, many people spend what they can’t afford. To handle this situation, you should be thinking about Christmas every month of the year. Don’t wish life away, hoping it will be here again sooner than before. Instead, save a little cash each month and put it in a savings account. That way, you’ll always have money when you need it, at times like Christmas. Using this guide, we hope you’ll find looking after your finances a lot easier next year.